Offering a variety of uses, Slube Pina Colada Lubricant is a fun summer scent that comes in a crystal form. 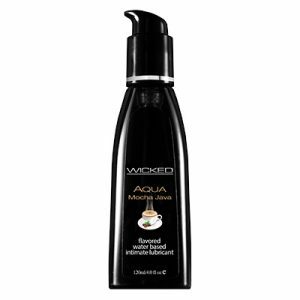 When mixed with warm water the crystals dissolve forming a smooth and sensual lubricant. 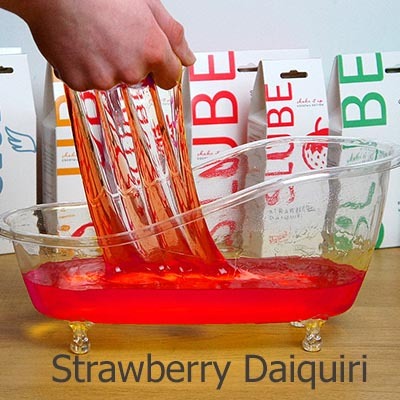 Slube is perfect for use as a sexual lubricant, massage gel or for just a warm relaxing bath. Available in a number of scents all of which carry the same great lubricant quality. 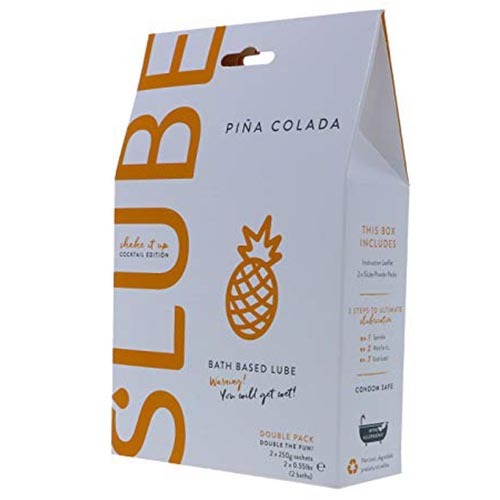 The Slube Pina Colada Lubricant is currently only available in the 500gram pack. One 250gram satchel will make a whole bath tub full of slippery lubricant. But it does not have to be made up in full bath sized amounts all at once. You can make smaller quantities by using a small bowl (perfect size for your sensual massage) or a bottle for sexual use. In fact the amount you make up is entirely dependent on what you want to use it for at that time. The advantage of Slube Pina Colada Lubricant crystals is they will last in crystal form for as long as you want. Just make up as required and avoid wastage as can happen with other lubricants. 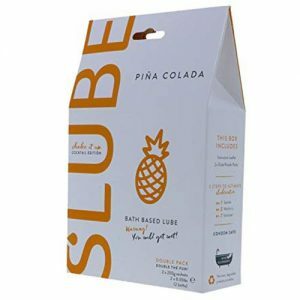 Slube Pina Colada Lubricant – summer time fun. Making up your Slube Pina Colada Lubricant is simple. Just add warm water into the container you want to make it into, then sprinkle the Slube crystals in accordingly and watch as the water thickens into a Sluby sensation. If you want it thicker add more crystals, or to thin add more warm water. It has been shown that the Slube formula also helps hold the heat. 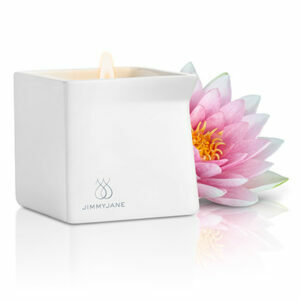 Enjoy extended times in the bath in particular with some tests showing it can hold heat for up to 2.5 hours.